Greetings from the Provost’s Office—AKA the Office of Academic Affairs. Those of us residing in Miller Administration 306 are responsible for academic programs (approving curriculum and degrees), faculty (providing support for teaching, research and service) and, in general terms, everything associated with students’ academic success (focusing especially on recruiting, retention and graduation). We work together with Student Affairs, Administrative Services, Information Technology and University Advancement to ensure that Weber State lives up to its values of Access, Learning and Community. 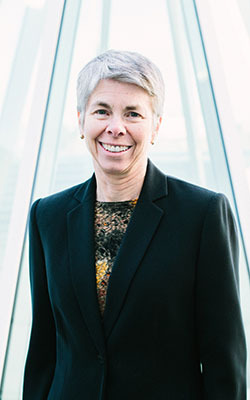 Over the past two years, in addition to regular responsibilities, the Provost’s Office has worked on a Strategic Enrollment Plan to recruit and retain more students, a Student Success Series to motivate everyone on campus to put students first, and an Academic Master Planning Task Force to help chart our academic course. We’re excited by the progress Weber State is making in all these areas. Please explore our website for more information about initiatives, resources, responsibilities and Provost Office personalities.